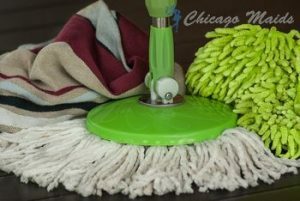 Best Move Out Cleaning In Chicago • Chicago Maid Co.
At Chicago Maids Co. we offer you a large set of pretty reliable and affordable cleaning services in Chicago that you can count on in every situation. We live in a rather dynamic time when people are moving constantly from place to place. That is why a move-out cleaning solution that you can rely on is essential. We have tailored our service in a manner that is up to the highest quality standards of the industry. We operate on flexible schedule and prices, and we can guarantee that we never fail to achieve optimal results. They are the people who you want to take care of the end of lease cleaning of your property. The service that we are talking about here is suitable for both renters and owners. When you are leaving accommodations that you are leasing, you want them to be in a top condition so that you can secure the return of your deposit without problems. At the same time, if you yourself are renting the place or selling it, you would want it to be attractive and presentable. There is no easier way to achieve all those things than to call Chicago Maids Co. for an end of tenancy cleaning solution that is up to all quality standards and expectations. When we say we are good, we truly mean it. The only thing left is to give us a chance to demonstrate that to you. Chicago Maids will pay attention to every single detail of the job. Our carpet cleaning Chicago solutions are particularly handy, because they are done with the help of powerful steam cleaning equipment and with no dangerous chemicals involved in the process. Carpets and rugs are traditionally a real nightmare to clean and sanitize, and things become even worse when there are stubborn stains and little time to get the job done. In any case, we will help you manage it in a timely fashion and to a very satisfactory end-results. Give us a call today for booking and a free no obligation quote. We will take care of business the way we usually do – and that is the only way you hope us to. Chicago is the third largest city in the US with a population count of some 10 million people in Chicagoland – the metropolitan area. Chicago is home to the Cubs, one of the best loved sports teams in the country, as well as the Chicago O’Hare International Airport, which size makes JFK pale in comparison.